Whether your project includes new home construction or renovation, Milgard offers the breadth of products to match nearly any design or budget requirement. 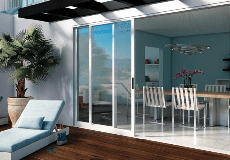 With a complete line of wood, fiberglass, vinyl and aluminum windows and patio doors, we can build just about anything your clients can imagine. From our high level of service to our commitment to quality and Full Lifetime Warranty, Milgard helps make every project a success. Fill out the form below to receive our Newsletter which features the latest building industry information, tips for growing your business, new Milgard product information, and exclusive promotions.